A villager holds up a sign protesting the Burma Army building a road and bridge in Karen State. 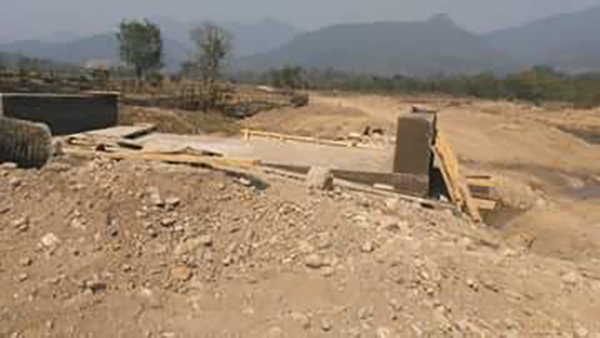 Earlier this year, the Burma Army in Karen State’s Kler Lwe Htoo and Mu Traw districts continued to violate the National Ceasefire Agreement (NCA) by moving troops through Karen areas and rebuilding roads in Karen areas without permission. At 0717 on Feb. 19, Karen soldiers ambushed Burma Army trucks in the Paw Klo Hta and Ku Day village areas, Luthaw Township, because the trucks had driven beyond the area agreed upon by the Karen and Burma Army. 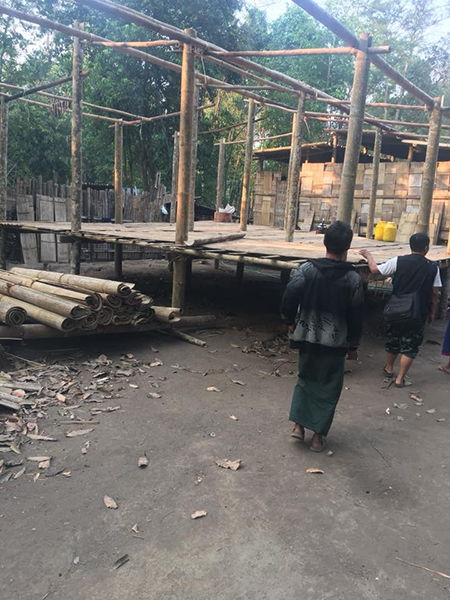 In response, the Burma Army fired 246 mortar rounds into the area and on both sides of the road, leaving the villagers too afraid to go work in their fields. The next day, Feb. 20, fighting broke out at Thay Nwe Klo, northeast of Muthe Village, Kler Lwe Htoo District, between Karen soldiers and the Burma Army. 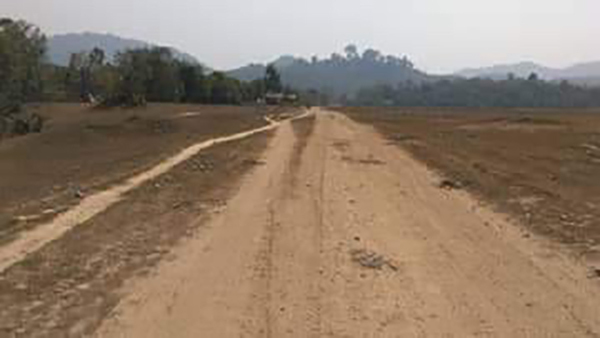 The Burma Army had begun patrolling the area both day and night as they wanted to rebuild a road between Kler Soe, in Mu Traw District, and Muthe Village. Burma Army soldiers told local villagers that they would shoot anyone seen carrying a gun. 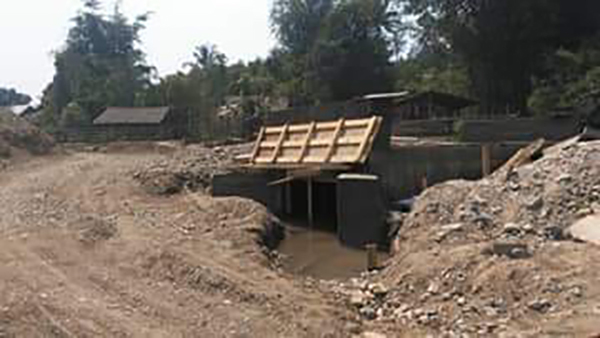 The road and bridge under construction by the Burma Army. 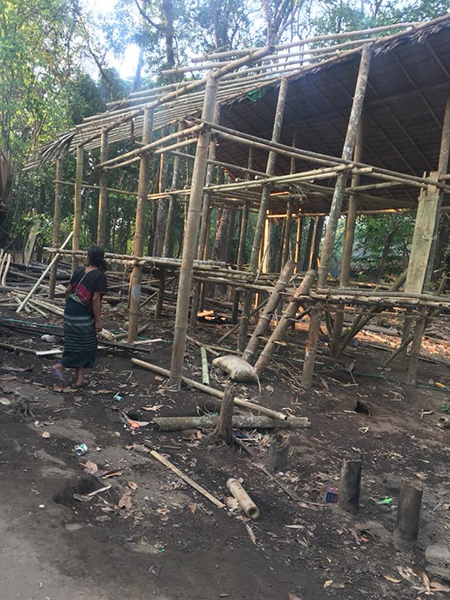 Although the Karen National Defense Organization (KNDO) commander in Kler Lwe Htoo District did not grant permission for the road, the Burma Army continued building. On February 23, fighting again broke out, causing people in Pa Kaw Hta Village to flee their homes. 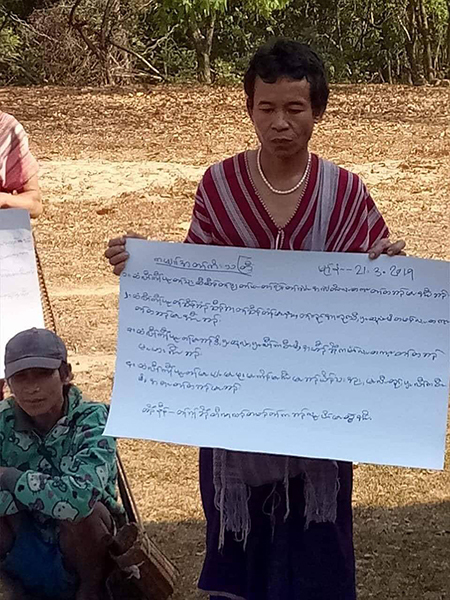 Civilians around the area refused to agree to the Burma Army roadwork, even going so far as to send a letter to the Tactical Operations Command (TOC). The Burma Army ignored their statements and continued to build. Villagers from Pa Kaw Hta Village take apart their homes before fleeing. On March 27, fighting broke out between Karen soldiers and Burma Army IB 48 east of Muthe Village after the Burma Army had patrolled beyond their area, almost reaching a KNDO outpost. Two Burma Army soldiers died in the clash. The same day, another clash broke out on the border of Mu Traw and Kler Lwe Htoo districts. Three Burma Army soldiers were wounded in the clash. 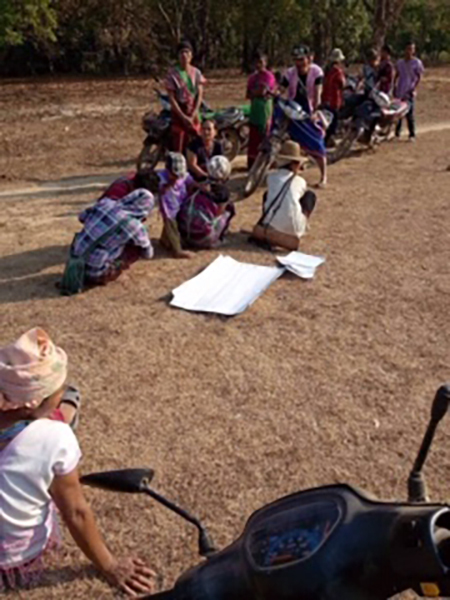 IB 48 is responsible for handling road security where the Burma Army intends to build a road. One year ago, in March 2018, the Burma Army conducted similar activities and NCA violations. 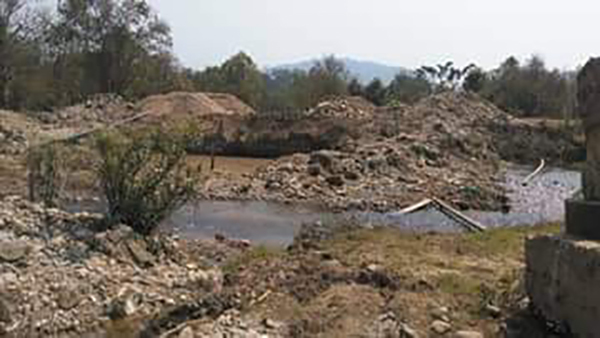 Their troop movement and an attempt to rebuild roads in the Ler Mu Plaw area, Muthraw District, forced over 1,500 villagers to flee the area. 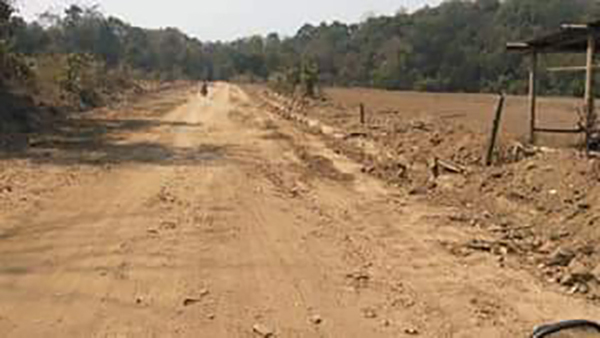 More of the road under construction by the Burma Army. The road under construction by the Burma Army. The area where the bridge will span. Villagers protesting the construction of the road and bridge. 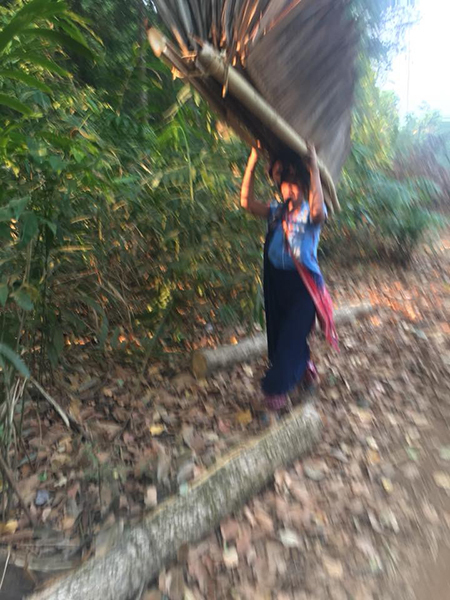 A villager from Pa Kaw Hta Village carries away part of a house into the jungle.